1 metre tester of wedo eco multi purpose wick + 10 suitable sustainers. Can be used with any wax but particularly suited to natural wax. 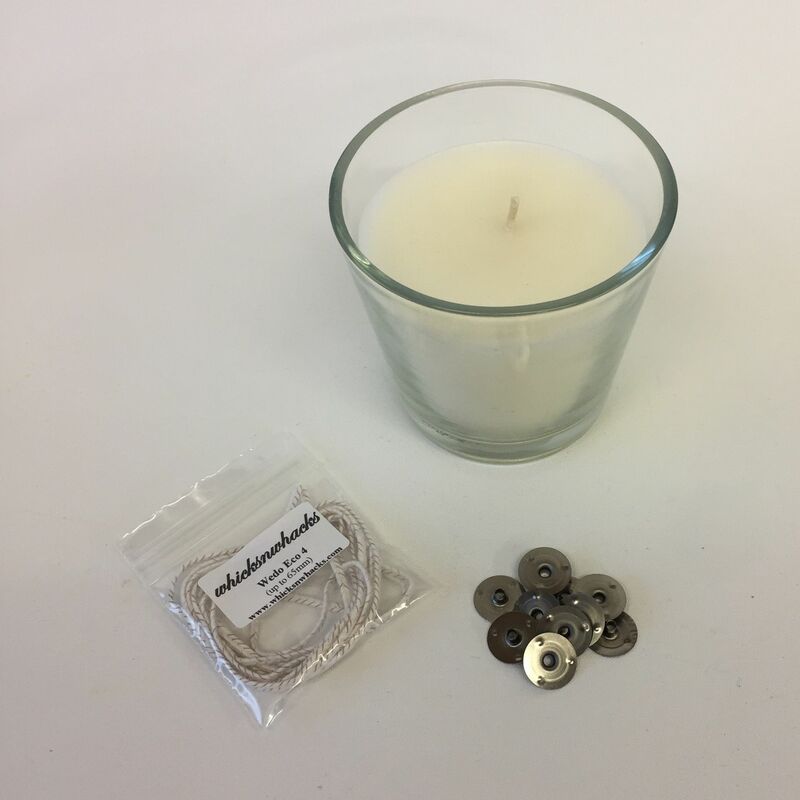 The eco wick is a flat, coreless, cotton wick with thin paper filaments interwoven for burn stability. The specially treated paper threads provide a controlled curling of the wick making the eco series self-trimming, which results in minimized mushrooming, soot and smoke. General rule of what wick to buy - Choosing a wick size can be a tricky business, especially as it is partly trial and error depending on wax, amount of colouring and scent etc. The size of wick you require is governed by the width of candle you want to make. You are trying to achieve a wax pool the whole width of the candle. The length is not as important especially when buying by the metre as it can be cut to length. So measure the width of your container or mould and this will be the size of the wick you want.